Michael: This progression uses a I, IV, V in the key of G, can anybody tell what those chords would be? 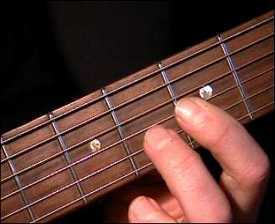 Michael: This lick is simple but effective when played over the progression. Here's a few pictures of the finger positions. Michael: The licks come alive when played over the jam track, let's try another lick. Michael: Ok this lick goes over the I (G) of the progression, know when you change to the IV play the coming lick. Michael: Notice how the lead notes drop, but retain the the common melody of the first lick, then the progression goes back to the I (G) and you play the first lick again, now you shift again when you go to the V (D) of the progression. 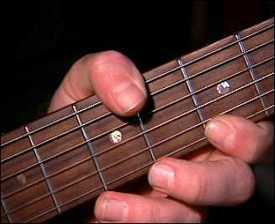 mac: When you play the G do you use a G7 chord? mac: Man that sounds great! Michael: I like this next lick, it uses the G min pen scale. 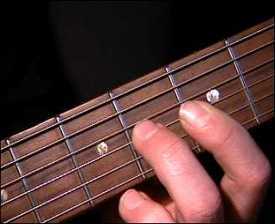 Later in the lick you hammer to the Major 3rd note and then this classic bending lick. 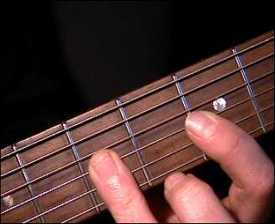 Use your third finger to bend the notes. Here's a few pictures. 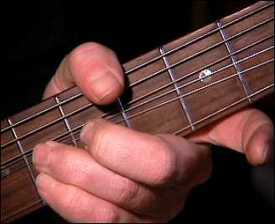 Michael: This lick uses the Minor Pentatonic mostly, but drops into the Dominate 9th which is the 1st string 5th fret. This lick has such a classic T-Bone Walker sound, he used these notes often. Michael: Time to go, see you next lesson!